With increased power density and continued miniaturization, effective thermal dissipation is of significant importance for operational lifetime and reliability of electronic system. Advanced thermal interface materials (TIMs) with excellent thermal performance need to be designed and developed. 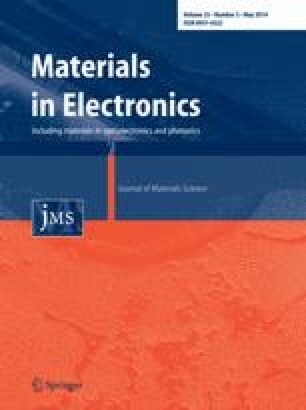 Here we report novel TIMs consisted of boron nitride (BN) nanofibers and pure indium (In) solder for heat dissipation applications. The BN nanofibers are fabricated by electrospinning process and nitridation treatment. After surface metallization by sputtering, the porous BN film is infiltrated with liquid indium by squeeze casting to form the final solid composites. The new composites show the in-plane and through-plane thermal conductivity respectively of 60 and 20 W/m K. The direction dependence thermal properties of the TIM are due to the anisotropic thermal performance of BN nanofibers in the composite. A low thermal contact resistance of 0.2 K mm2/W is also achieved at the interface between this new composite and copper substrate. These competent thermal properties demonstrate the great potential of the BN–In TIMs in thermal management for electronic system. This work is supported by the State Scholarship Fund (CSC), EU programs “Eranet Nano-TIM”, “Nanotherm”, “Smartpower”, SSF program “Scalable Nanomaterials and Solution Processable Thermoelectric Generators” with the contract No. EM11-0002, the Chinese Ministry for Science and Technology within the international collaboration program within the contract No. 2010DFA14450, Shanghai Science and Technology Program (12JC1403900) and NSFC (51272153). This work is also carried out within the Sustainable Production Initiative and the Production Area of Advance at Chalmers.